David Nemec didn't anticipate spending 34 years working in education. A 1977 Sauk graduate, he transferred to Northern Illinois University where he earned his bachelor's degree. Taking a job as a reading specialist, David continued to seek additional education which opened up new opportunities. He eventually earned three additional graduate degrees, was promoted to principal, and then district superintendent at Franklin Park School District 84 in Franklin Park, IL where he finished his career. 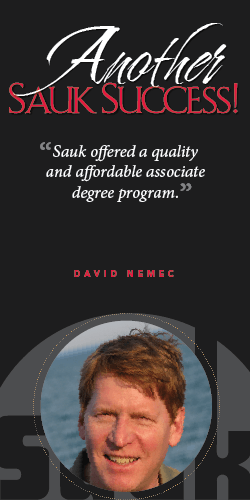 David gives Sauk a lot of credit for a strong educational foundation. "I credit my great start at Sauk Valley Community College for my future educational and professional success. In my opinion, Sauk Valley College offered a quality and affordable associate degree program."